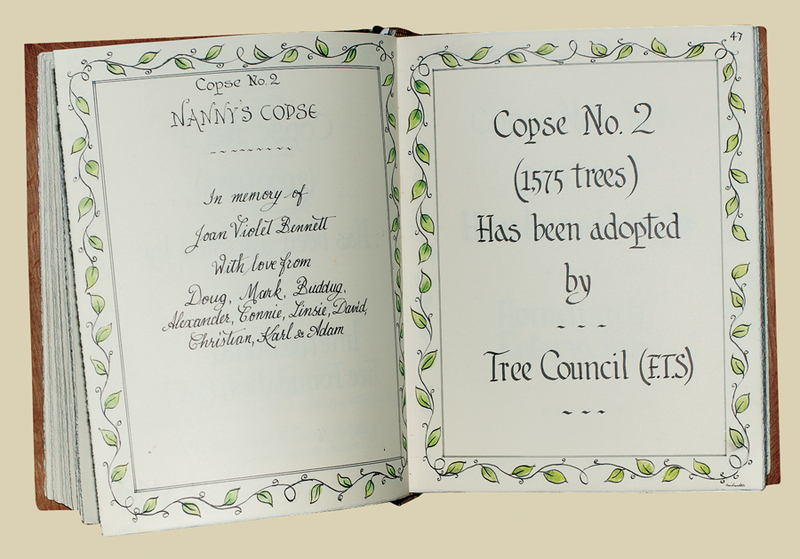 The Book of Celebration was first dedicated many years ago to record the planting of various copses, named trees where donated money has been used in memory of people to the benefit of the forest. 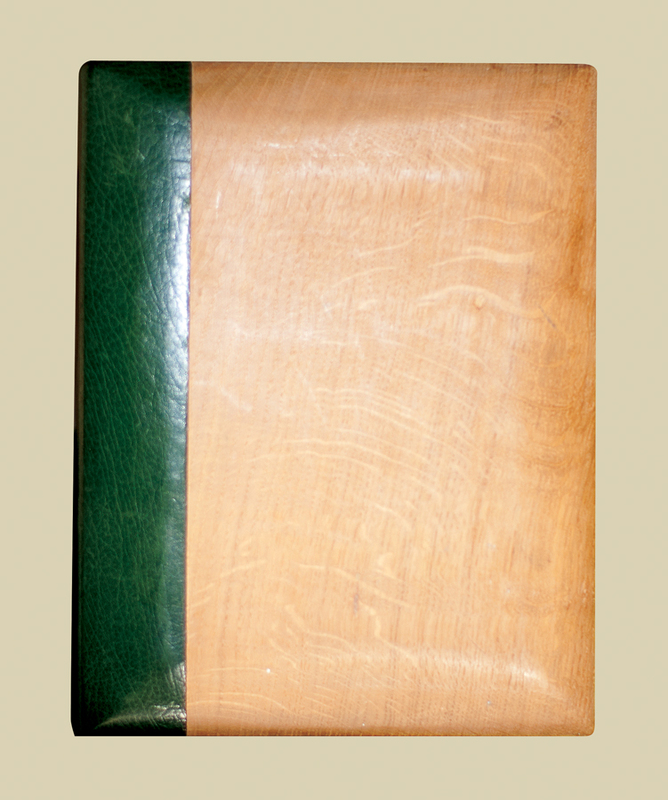 The Book itself is beautifully bound in wood with each page lovingly written in calligraphy style by a friend of Thames Chase. Over time the Book fell out of use and was stored in a cupboard waiting for a time when it would be put to use again. After many enquiries to Thames Chase about planting trees in memory of loved ones, someone had a light bulb moment and remembered the Book storage. Unfortunately the planting of trees by individuals in any site of the forest is not in the remit of the Forest Commission who own the land. As a result the Book has now been re-introduced. 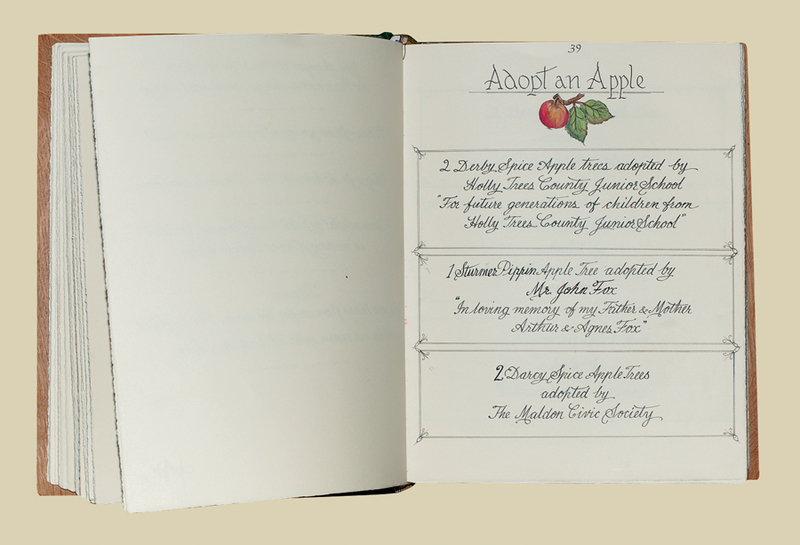 Visitors are now able to have their special occasions or memories recorded. 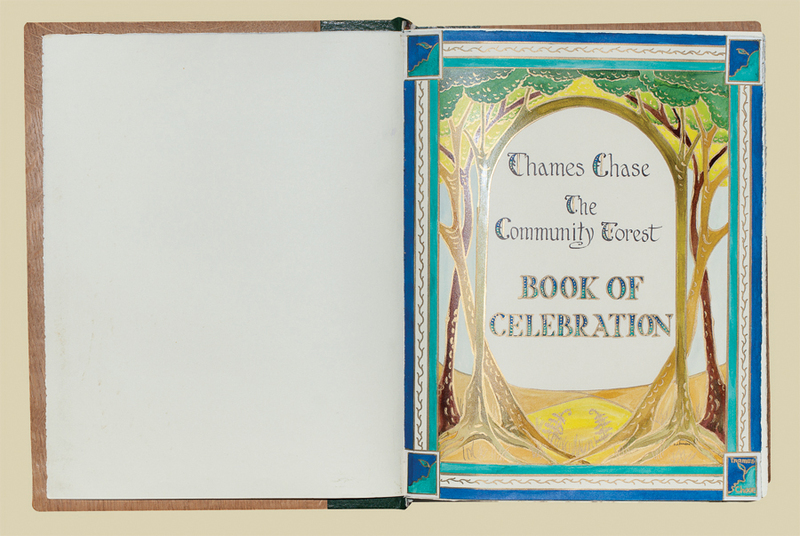 It is hoped that this is accompanied by a donation to the Thames Chase Trust who will ensure that monies will be used for tree or bulb planting within the 40 sq. mile area. This helps create new places of peace and tranquillity.